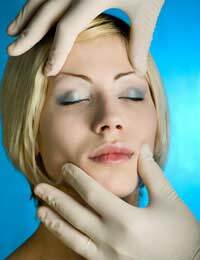 Cosmetic surgery is big business, and this inevitably leads to unscrupulous individuals who are only out to make a quick buck. Fortunately, the scammers are far outweighed by the trustworthy cosmetic surgeons, but all too often, the difference between the two isn't always obvious, which is why there are so many unsuspecting victims. Thankfully, there are a number of ways to suss out the cosmetic surgery scams. If you're thinking about having cosmetic surgery, your GP can recommend surgeons in the local area. This may be an NHS surgeon, but for most operations, you'll be referred to a private clinic. Open a magazine or newspaper (especially those that are aimed at young women) and it's likely that you'll find several adverts for cosmetic surgery. If you choose this route, look for indications in the advert that it's a reputable clinic, for example, clinics that are registered by the Healthcare Commission. Once you've got a clinic in mind, find out as much as possible about it before you arrange a consultation. At the same time, make sure that you're fully aware of the cosmetic procedure that you intend to have done. It's important that you feel comfortable with the surgeon, given that you'll be entirely dependent on him or her during the surgery. Because of this, it's useful to book consultations with more than one clinic, so that you have back-up options if you come away from any of the consultations feeling a little uneasy. If you're going to part with a considerable amount of cash and are trusting someone to perform intricate surgery on your body, you want to know that this person is a professional who knows what he or she is doing! In the UK, look for a cosmetic surgeon with accreditations from the British Association of Plastic Reconstructive and Aesthetic Surgeons (BAPRAS) or The British Association of Aesthetic Plastic Surgeons (BAAPS). The latter can help you to find a BAAPS-registered surgeon in your area. If you're having your surgery in Europe, look for a Board Certified Plastic Surgeon, as well as accreditations from the country's equivalent of the BAPRAS or the BAAPS. Some surgeons who practice in foreign clinics may be registered in the UK. If this is the case, see if they are registered with the General Medical Council (GMC) and are included on the GMC's Special Register for plastic surgeons. You can check the Special Register on the GMC website to see if the surgeon's name is featured. If the surgery was a big success, there will always be clients who will be happy to recommend him or her to others. Alarm bells should start ringing if your cosmetic surgeon can't supply testimonials from previous satisfied customers. Ask to see before and after photographs of previous clients too. If these can't be supplied either, heading for the door is the best option at this point. If there's no solid proof that he or she has done a good job in the past, why take a chance? Although the cost of the surgery is naturally going to contribute to your decision, don't make it the sole factor in selecting a surgeon or clinic. In many cases, this is what the scammers will be relying on, and they will often offer tempting low prices to reel you in. Most of the time, prices will depend on the complexity of the surgery, so a full consultation is usually necessary to assess your individual needs before a definite price can be given. Cosmetic surgery scams are on the rise, and it's all too easy to be sucked in if you're not properly prepared. Knowing what to look out for can make all the difference when you're looking for the right surgeon.